The traditional employee-in-front-of-machine photo doesn't need to be boring. 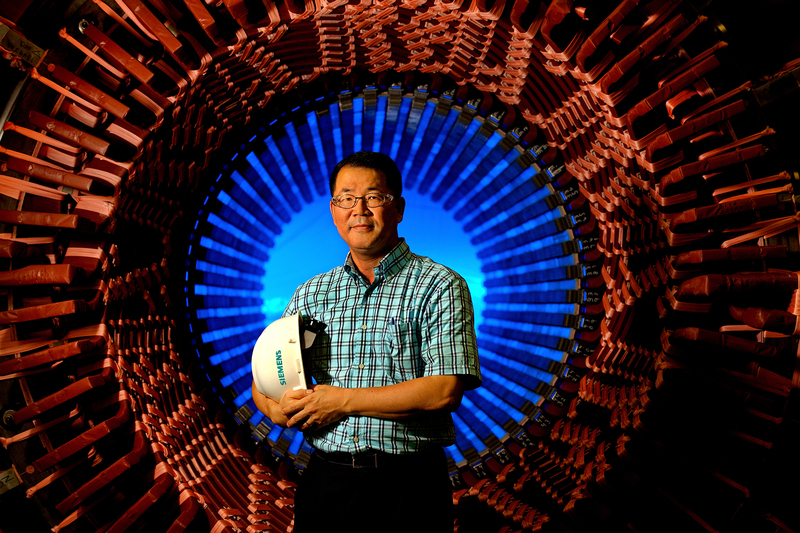 To photograph this engineer at Siemens Energy in Charlotte, we took advantage of the graphic lines of a giant turbine. Normally, the inside of the machine is shades of dark grey and black. We pushed bright blue light through the turbine from behind to help the subject pop out in the photo.